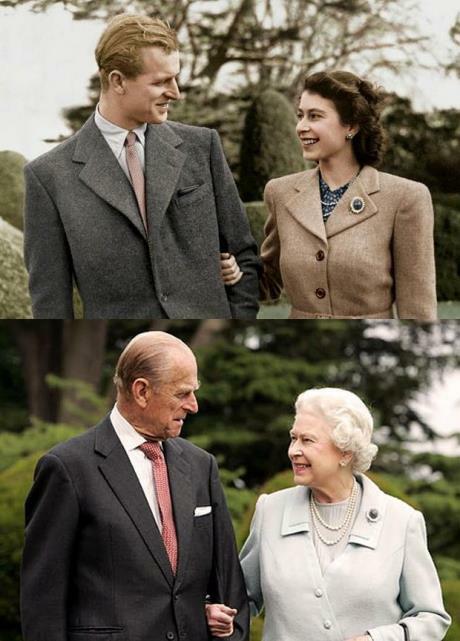 Mostly I just wanted to share this lovely image of the Queen and Prince Philip, around the time of her coronation, and recently. We have been loading up on BBC programming at home as of late, there have been lots of interesting specials about the royals and their weddings and such. As much as I want to dislike Prince Charles, we started watching a very cute show where he provides commentary over old films of his mother, and it is super charming. Are you watching any Jubilee coverage? My anglophilia has been previously demonstrated, but I know not everyone cares as much as I do.